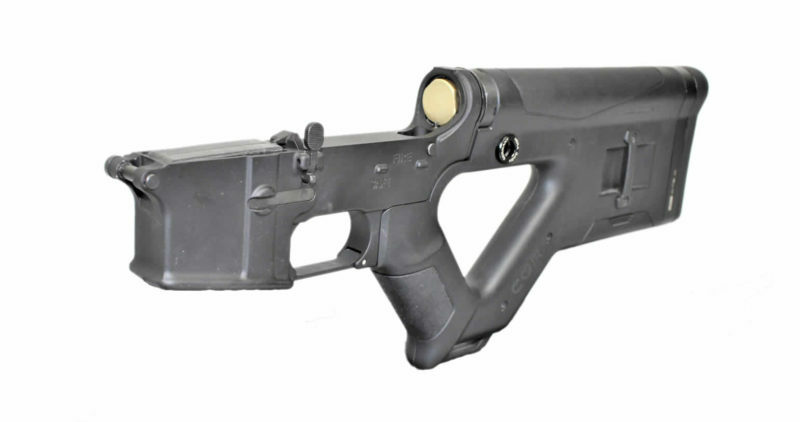 AR-15 Lower – CBC Industries 80 Percent Lower / Hera CQR Buttstock /With a design heavily influenced by the FN P90 carried by members of the US Secret Service. The CBC Industries 80 Percent lower receiver with Hera CQR Buttstock is a close quarters battle dynamo. The 12” Buttstock allows for the compact profile necessary in confined spaces while providing comfortable yet secure control of the firearm.